Pleasant Valley Farm is a new wedding venue, opening its doors in 2014. 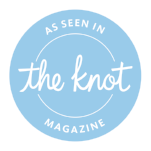 Say your vows as you overlook beautiful farmland and open fields. Take romantic photos as the sun sets over the lake. Or find an interesting barn or beautiful flower garden for photos opportunities. Fit up to 250 people, depending on your seating needs and dance floor options, in the 2000-square-foot barn for an amazing reception, with natural sunlight coming in for wonderful ambiance. 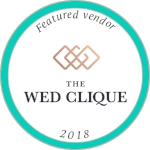 We have worked with several local vendors, including , EZE Party Rental, Nine Zero Three Photography, The Jacksons Photography, and more, who are all familiar with our unique space and would love to help plan your event. Inside the barn, there are several off-to-the-side areas perfect for food service or a bar. Pleasant Valley Farm offers ample room for parking, or coordinating with a shuttle bus service to provide transportation for your guests. We can discuss additional access to the venue for set-up the day before, or tear down the day after.